Sports Mole provides the team news, predicted lineups and a full preview of Saturday's Serie A clash between Juventus and Fiorentina from Turin. 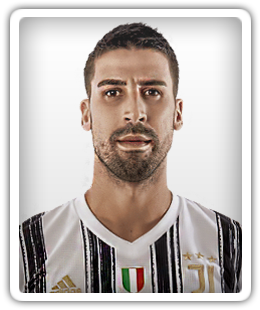 Juve take on Napoli this weekend in Serie A.
Juventus midfielder Sami Khedira will be out of action for 'approximately one month' having undergone treatment on a heart problem. Juve are the only unbeaten team in Europe's top five leagues this season. Sports Mole provides team news, predicted lineups and a full preview of Sunday's Serie A encounter between Sassuolo and Juventus. Juventus are reportedly prepared to offer Sami Khedira to Arsenal in a bid to sign Aaron Ramsey during the January transfer window. Juventus reportedly identify Tottenham Hotspur midfielder Mousa Dembele as a possible transfer target in January, with the Belgian's contract due to expire next summer. Sports Mole previews Wednesday's Champions League showdown between Juventus and Manchester United, including predictions, team news and head-to-head records. Sports Mole looks at how Juventus could line up for the visit of Manchester United as they look to seal their place in the Champions League last 16 with two games left. Sports Mole takes a look at how Juventus could line up in Saturday's Serie A clash with Cagliari Calcio. Ahead of Saturday's Serie A clash between Empoli and Juventus, Sports Mole looks at how the Italian champions could line up at Stadio Carlo Castellani. Sports Mole looks at how Juventus could line up for Tuesday's Champions League clash with Manchester United, when Cristiano Ronaldo will return to Old Trafford.